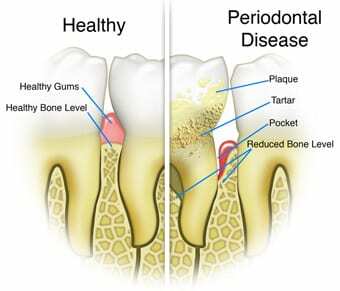 Healthy gums complete the appearance of an attractive smile. A bright smile is made more pleasant to look at when it is complemented with healthy-looking and pink gums that provide firm support for the teeth. On the other hand, gums that are swollen, red, and bleed easily can make even the brightest teeth look unattractive as a whole – and may be the symptoms for more serious dental problems. Taking care of your gums will involve vigilance on your part, and the help of the dentist at Woodbury Dental and Laser Clinic who will guide you to healthier gums. Gum problems should be treated in their earliest stages to ensure that complications do not have a chance to develop, while proper self-care will go a long way in keeping enjoying healthy gums for life. Brush your teeth properly and thoroughly. Tooth brushing prevents plaque buildup by removing food particles that may have been left on teeth surfaces and along the gum line after mealtimes. It is important to brush the teeth using firm but gentle strokes, to ensure that the gums are not injured with intense pressure from the bristles of the toothbrush. The proper toothbrush size should also be used to ensure that all of the areas that need to be cleaned will effectively be reached. Use toothpaste that is fortified with fluoride. Fluoride will protect both the teeth and the gums from tooth decay and other infections. An antibacterial mouthwash will also be beneficial in cleaning the oral cavity, and in keeping the gums healthy. Use dental floss on a regular basis. Dental floss will effectively fit in the spaces between teeth and the gums that tooth brushing may not be able to reach; the dental floss can remove any food particles or other debris in between the teeth and the gum line, which may be the cause of dental problems or tooth decay if left on the teeth and gum surfaces for a long period of time. Dental floss should be used after meal times, in combination with proper tooth brushing habits. Slide the dental floss in between teeth, and move it in a gentle but firm vertical manner to scrape off food debris and plaque that may have formed in the area. Avoid heavy or frequent consumption of sweet food and beverages, especially those that are sticky. Teeth and gums are more susceptible to dental problems when they are exposed for a long time to food and drinks that have high sugar content. Sticky food can be hard to remove, and can stick to the gums and the teeth for a long time – which may cause gum diseases and tooth decay to develop. Go for dental checkups on a regular basis. Visiting the dentist at Woodbury Dental and Laser Clinic will ensure that your teeth and gums are well taken care of, and that any dental problems are diagnosed in their earliest stages – to prevent more complicated dental issues from occurring. The dentist will also be able to provide you with tips and guidelines on how to take care of your oral health, so that you will enjoy healthy gums and teeth for life. Eat a healthy diet. Make it a point to include fruits, vegetables, and whole grains to your diet, as these have vitamins and minerals that are essential in keeping the teeth and gums healthy. Chewing on fresh fruits and vegetables can also be beneficial in maintaining healthy gums, which are gently but effectively massaged with the chewing action. Keep yourself hydrated by drinking water. Regular water consumption washes away food debris that may be left inside the mouth after eating, and keeps the whole mouth area hydrated. Healthy gums need proper hydration to fight bacteria and infections; water can also prevent a dry mouth condition, which can result to bad breath problems. Consume food and drinks rich in calcium. Milk and other dairy products, such as cheeses, yogurt, and peanuts are rich in calcium which keeps the bones and teeth strong; the calcium in these food and drinks can also protect both the teeth and the gums against infections and tooth decay. Stop smoking. 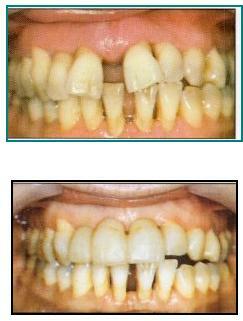 Smoking and the use of tobacco products have numerous adverse effects on the teeth and gums; the use of tobacco products and cigarette smoking can also result to stains on the surface of the teeth, as well as darkening of the gums – a combination that equates to an unattractive smile. Tobacco use and cigarette smoking are also the leading causes of oral cancer, which can be fatal if not treated in its earliest stages.